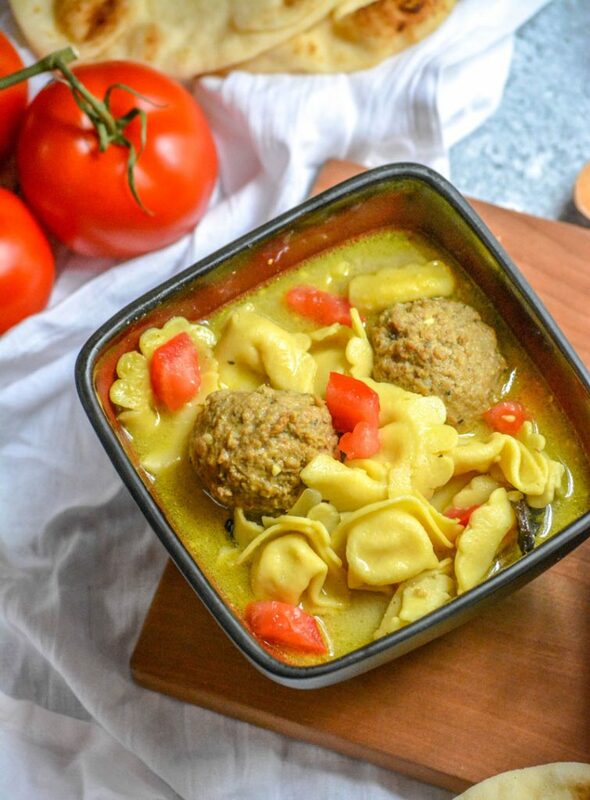 Stocked with tender cheese tortellini, over-sized beef meatballs, and a heaping helping of curry powder, this Curried Tortellini Meatball Soup is a hearty ‘meal in a bowl’ kinda creamy soup. Got a bunch of meatballs in the freezer? 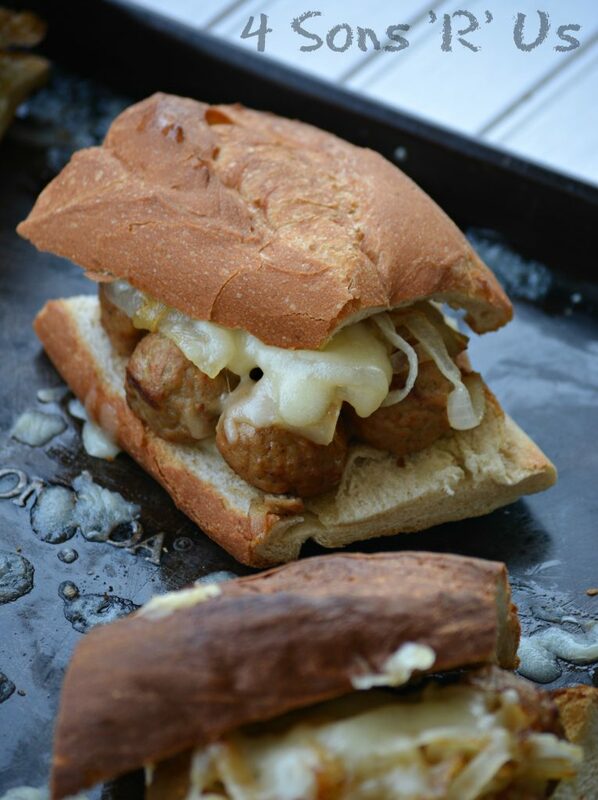 Give them, and your lunch, new life with these easy French Onion Meatball Sub Sandwiches. 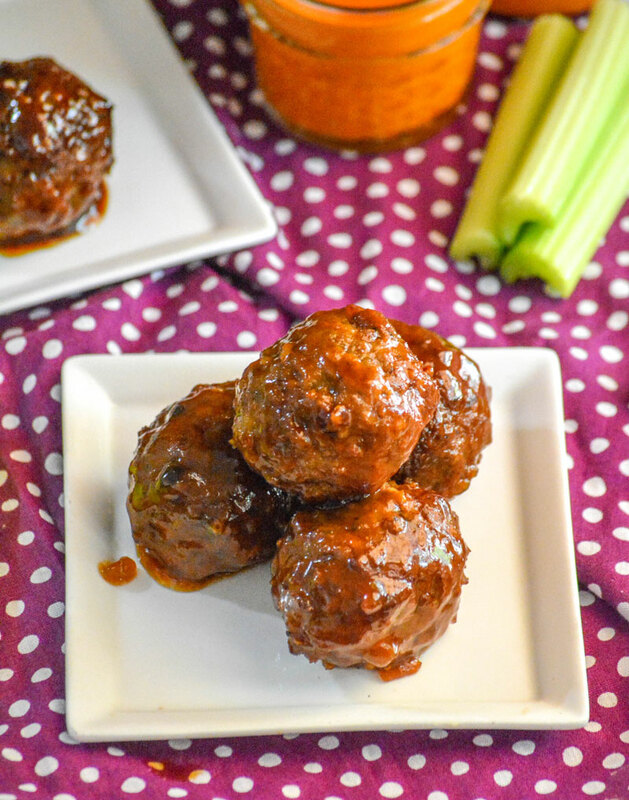 A sweet sauce with a little bit of a kick bathes these Crockpot Honey Buffalo Meatballs in delectable yumminess. Served as is, these make a hearty appetizer fit for any gathering or Game Day. Ladled over a bowl of white rice, it makes a hearty, savory supper. 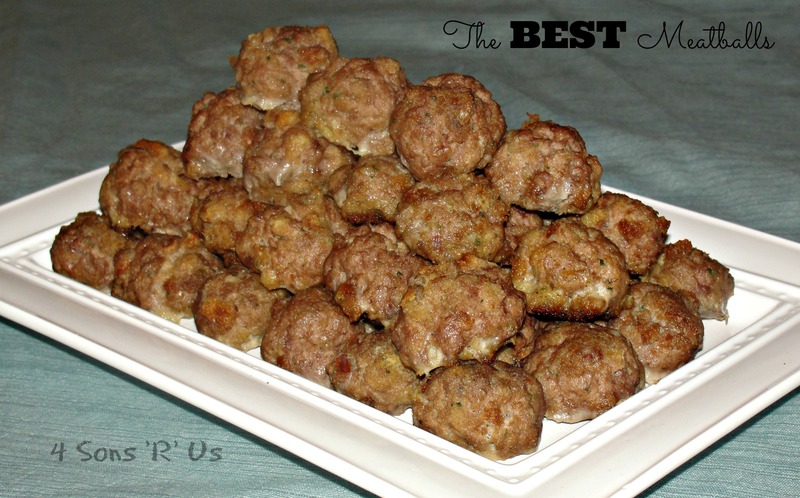 Meatball recipes are often challenged by chefs who claim, “Mine are the best!” Even though my meatballs ARE the best ( in my opinion of course), I won’t claim they’re the best in the world. However, they are the best recipe I’ve ever found and they’re the best for me. Who would have guessed the secret ingredient would be stuffing mix? It gives it all the right flavors and leaves them incredibly moist. Try them for yourself! My Italian father in law makes meatballs, his family recipe, and I’ve watched him since I first got married. They’re good, but there are so many steps and so many ingredients. It’s a lengthy, day long process. Ain’t nobody got time for that, at least not in this house. These are so easy, I can have them mixed, shaped, and baked in well under 30 minutes. Everybody’s got at least 30 minutes at some point in the day, right? After they’re baked throw them in some sauce for delicious spaghetti and meatballs. 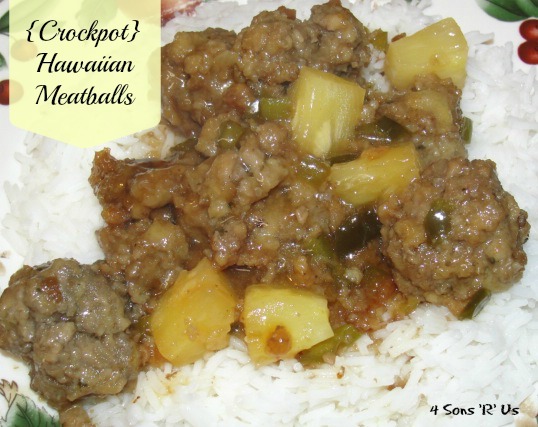 We love using them to make Crockpot Hawaiian meatballs. They’re totally freezer-friendly, and the sons love taking a few out at lunch time for making meatball subs. 2. Line two baking pans with foil (this makes for no-fuss cleanup later). Spray the foil with non-stick cooking spray. 3. In a large bowl mix all the ingredients (I find by hand is best) until fully incorporated. 4. Shape the meat mixture into about 32, 1 1/2 inch, balls (about 1/4 cup meat per ball) and placing them in the prepared pans as you go. 5. Bake the meatballs for 16-18 minutes, or until completely cooked. No pink meat for us. 6. 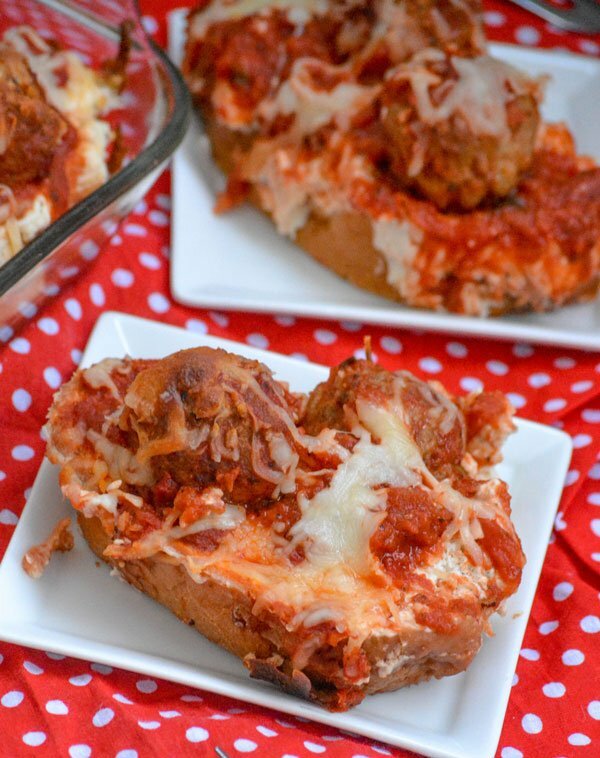 Remove from the oven and, if using immediately, add the meatballs into your recipe. Otherwise allow them to cool completely and follow freezing instructions. 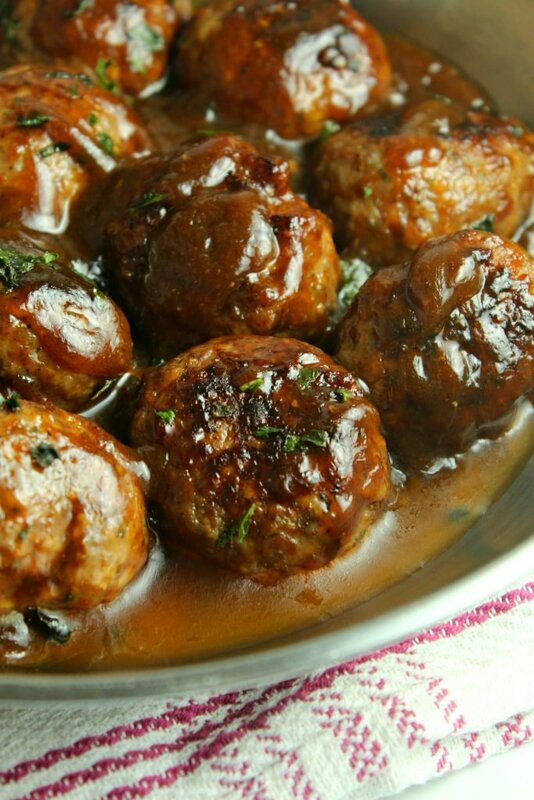 Loosely pack meatballs in zip-locking freezer bags. When freezing, make sure to lay the bags flat so the meatballs freeze individually without sticking/clumping together. They can be stored frozen for up to 3 months. To use, allow them to thaw in the refrigerator for several hours or overnight before hand.